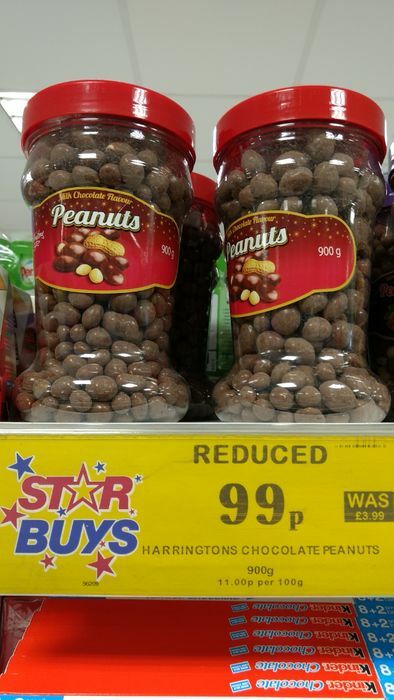 Harrington's Chocolate peanuts 900g tubs reduced to 99p in-store at home bargains. Lots on the shelf. Wow that's an unbelievable price for these thanks for the info.